Okay, I've been to quite a number of abandoned castles and I've seen a decayed hospital where trees are growing on the roof. But have you ever been to the headquarters of the Red Army in Europe? 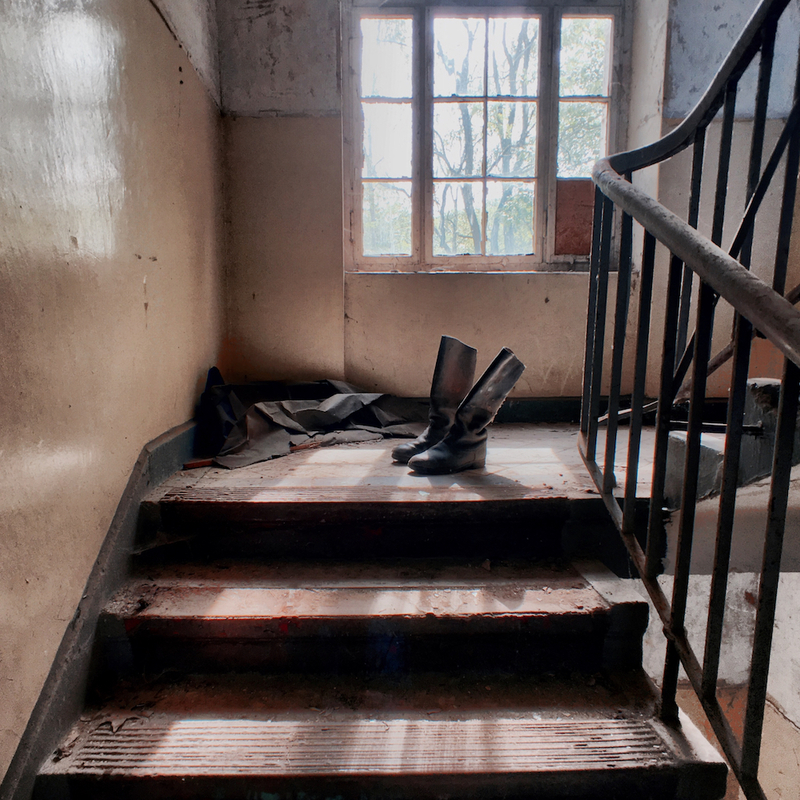 For my third "urban exploration" trip I went to the abandoned Military Academy in the "forbidden city" Wünsdorf, roughly one hour from Berlin. You can see over 20 buildings that were abandoned over 20 years ago in the area. There's an old sports hall, several theatres and of course the office buildings for all the important people. The entire area is fenced in and guarded and only accessible during a photo tour. I went there with go2know.de. They're cool guys offering photo tours for a number of abandoned buildings around Berlin. I think that's a great business model by the way. "The military academy at Wünsdorf" does not sound not very spectacular. But if you dig deeper into history, you'll find that this was the biggest Soviet military camp outside of the Soviet Union. But the history of this place goes back even further. Between the two World Wars, an Army Sports School was established and German athletes worked out here, most notably, the athletes for the Olympic Games in Berlin in 1936. One relict from that time is the indoor swimming pool. This pool hasn't seen any water for the past 20 years. Around 1935, Wünsdorf became the Wehrmacht Headquarters and the centre of the motorised division. There are a number of garages in the area, where everything from tanks to trucks were maintained. Not much left that would remind a visitor of the heavy armor that was maintained here. The Germans and the Russians were not only exercising and maintaining stuff here. They also needed some entertainment in one of the theatres. This one looks like it could host another show anytime but the last curtain fell more than 20 years ago. Remains of the final jam session? There's a lot to see here and even the cellars and attics are accessible. And if you look closely, you can even find the leftovers of some Soviet Uniforms. These boots were made for walking. Some time ago. Even though I spent an entire day there, I didn't see everything. There's so much so see here. Allegedly the collaborators of Stauffenberg, who tried to assassinate Hitler, were hanged here in the "Death Alley". The area is just huge and time flies walking trough all the floors of each and every building. So if you're into legally exploring abandoned places like this one, check out the offerings from go2know.de. You'll face one problem photographing in abandoned places with an iPhone and that is low light. I took all of the shots using my AmazonBasics Travel Tripod and the Low Light modes of ProCamera with the Moment Wide Angle Lens.